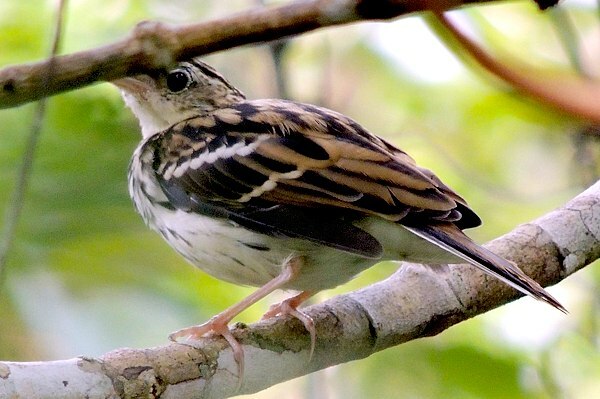 The Sokoke pipit is endemic to the coastal forests of Kenya and Tanzania . Note the black breast and back streaks and the white wing bars and outer tail feathers. The upper bird was seen in the Arabuko Sokoke FR-Kenya (8-17), courtesy of Per Holmen. 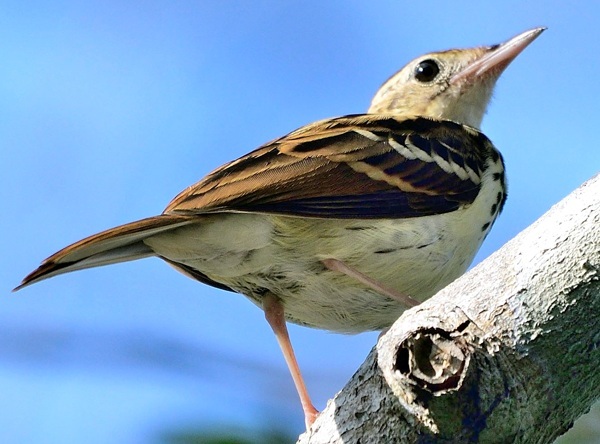 The bottom bird was seen in Pugu Hills FR (5-12), courtesy of Frank Willems.